​For the month of May, spring is in the air! 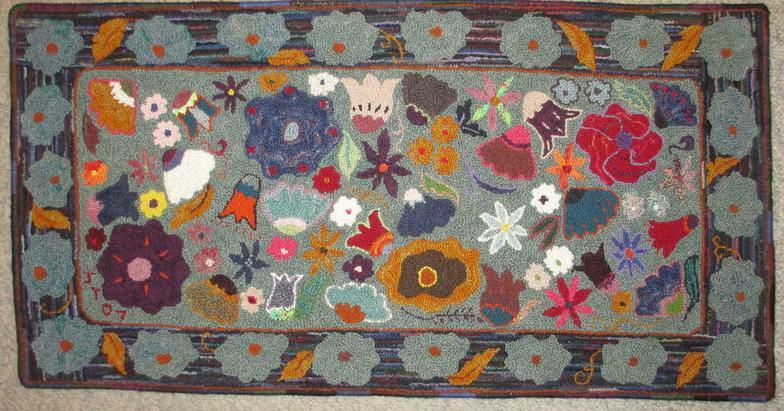 So why not try our Wildflower Rug pattern on linen? Normally sells for $95.00, blog subscribers can get this design for 20% off! This rug can be made up in any color scheme, absolutely anything goes! The pattern on linen includes a guide for how much yarn you need to hook the rug.